So since I have taken over the reins of the Austin College’s Campus Activities Board, I have incorporated a number of practices that my former advisors introduced to me. One of the first was to set one-on-one meetings with each of my officers so that I could help them plan their programs and make sure they were still in good standing with their academics at the same time. I can tell that the returning officers have really appreciated this in comparison to last year. Another recent thing that I encouraged the officers to do was an officer retreat. Even better, the President gathered that the Vice President was looking for more leadership opportunities and allowed him to plan and facilitate this one. What’s more, they wanted to involve their members as a way to include them in the planning process of the programs! 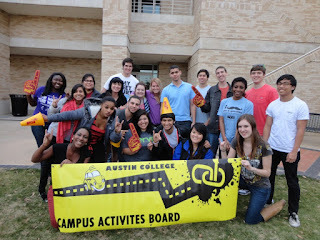 So this past weekend was the first ever spring Campus Activities Board Officer & General Member Retreat! It was a hit! They covered the fall semester’s highs and lows. 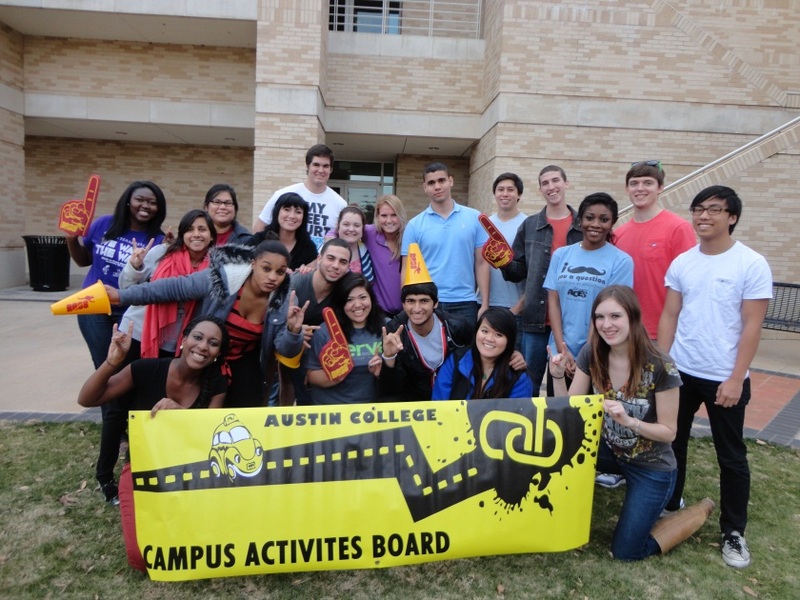 They discussed ways to make CAB more “cool!” A calendar of the spring semester was put together and got the team excited. They even enjoyed the ridiculous team builders that our V.P. put together for them! In the end, they all headed over to the common room of our apartment living and made pizzas and enjoyed each other’s company and we could see that they were really enjoying the team! I would have to say that I am pretty proud of the way my V.P. stepped up to make this a great event… I mean retreat J. We even got a great photo out of it!